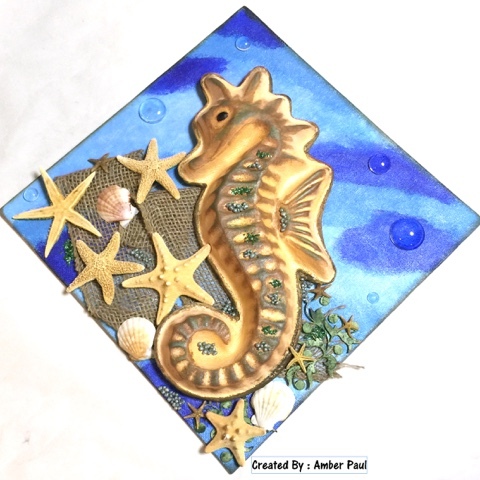 So, when I got the May Kit from Flying Unicorn, I LOVED the paper mache seahorse that came with it - I just had no idea what I was going to do with it! Luckily, I have a husband that didn't realize that fabric shower curtains can be washed and reused, so he threw ours away right after he went to the store with our three and a half year old to pick out a new curtain. What does she pick? Fish. Bright, bold, blue in your face under water FISH shower curtain. (Now I get to feel like I'm taking a shower in Bikini Bottom!!) 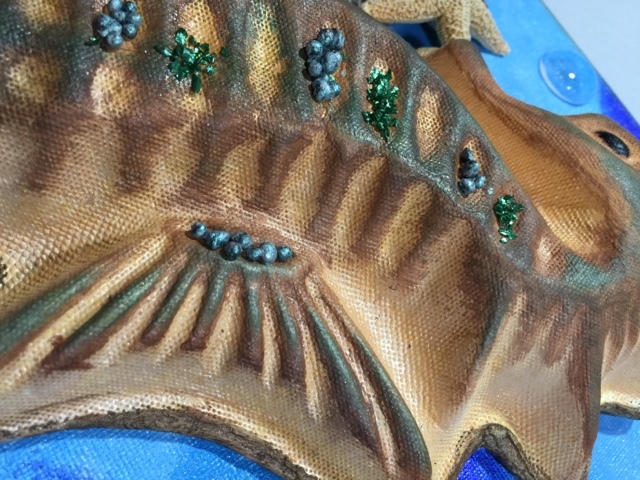 Not only does this please my three and a half year old to no end, I also got a reason to create this fun seahorse canvas to hang on the front of the door! 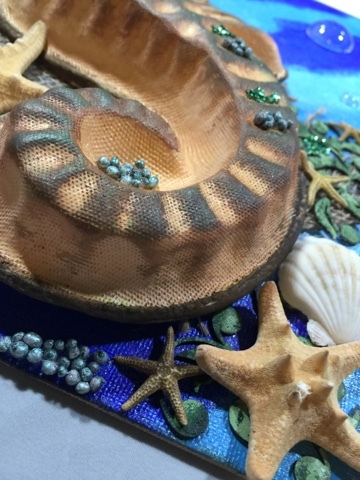 I colored some Art Stones and used them in various places on the canvas and on the horse as well as some green Roxs. 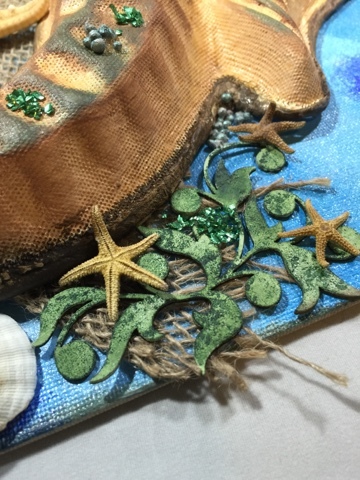 I added two 2Crafty chippies for some foliage action, various star fish and shells, random piece of burlap, as well as some Finnabair Melange art pebbles for bubbles! A big thank you for the Fabri-Tac for holding out on keeping everything in place so I didn't have to bust out the dreaded glue gun and sear my fingertips off. Now to hang this up on the bathroom door.. until the husband and child decide to change the decor again!